In the heart of one of the world's most vibrant and colourful cities, the campus of City, University of London offers you a broad student experience - far beyond your curriculum. On campus you'll find plenty of opportunities to meet other students and be an active part of campus life. With more than 50 clubs and societies, you'll always find events, activities and friends here on campus. See more using our Virtual tour below. City is located in Islington, an area of London loaded with great pubs, cafés, theatres and live music venues. You're likely to discover something new every time you explore the area. The Students' Union is here to help make your time at City, University of London fun and fulfilling. As well as organising social events, the Students' Union is actively involved in student politics and can give you support and advice. Our Students' Union is affiliated to the National Union of Students. The Union supports a broad range of student led clubs and societies. Activities can include anything from extracurricular academic events to talent shows. For example, if you are interested in journalism, video production or photography you are invited to join a student media group which produces a regular newspaper; if you are a postgraduate law student you can volunteer on our advocacy project. There's a club or society for everyone at City, and if your interest isn't covered, we'll help you set up a new club or society. Choose from coffee shops, sandwich bars, the student refectory and the popular social venue, CityBar. City's campus offers a wide range of hot and cold food and speciality dishes. Join classes, team sports and wellbeing programmes at City. Just visit our sports and leisure team at the Sports Desk at Northampton Square for advice and encouragement to help you achieve your health, fitness and sporting goals. The rewards of volunteering are immense and numerous. You can make new friends, expand your experience, enhance your CV and discover new skills. Volunteering can connect you to the community and introduce to you to a wider network of friends, peers and professionals. 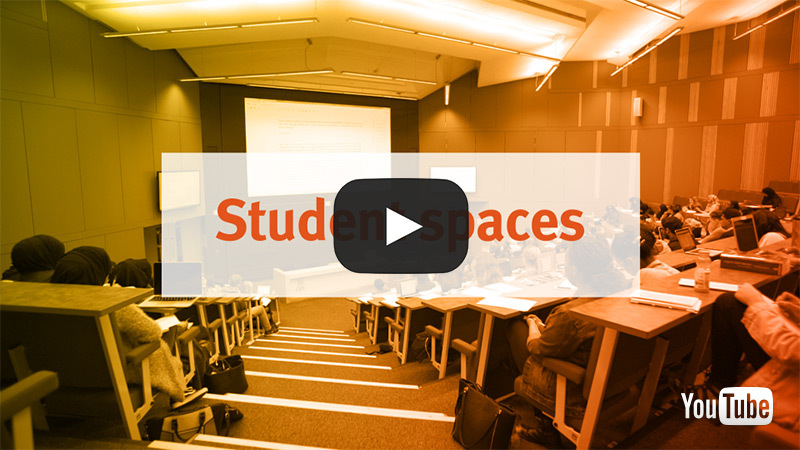 Take a virtual tour of our student spaces, showcasing our multi-million pound state-of-the-art facilities.